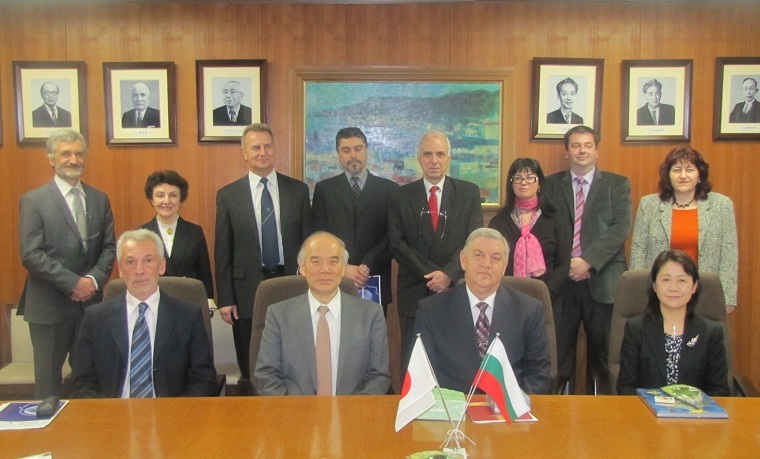 On March 18, Professor Damyan Nikolov Damyanov, Vice-President of the Bulgarian Academy of Sciences (BAS) paid a courtesy visit to Professor Takashi Onishi, President of Science Council of Japan (SCJ) and Dr. Fumiko Kasuga, Vice-President of SCJ in Charge of International Activities as leader of a delegation of six BAS scientists. They were accompanied by H. E. Mr. Georgi Vassilev, Ambassador of the Republic of Bulgaria. The Delegate of BAS was invited by SCJ for the Bilateral Conference “Bulgaria-Japan Research Collaboration for Sustainable Development” held on the next day at SCJ. The participants had an exchange of opinions on the further cooperation and research exchanges between two countries based on the Agreement of Cooperation concluded on March 30, 2012. Dr. Blagovesta Hristova Krachanova, Owner and CEO, Vitanea Ltd.